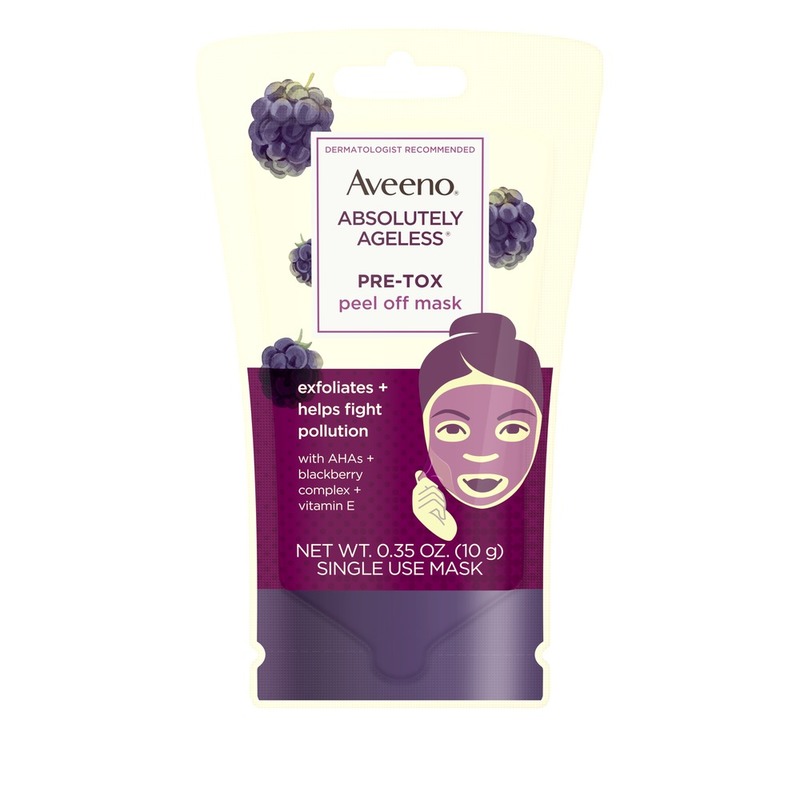 AVEENO® ABSOLUTELY AGELESS PRETOX Peel Off Mask, 2oz is rated 4.3 out of 5 by 148. Una piel más saludable a un paso de distancia. Esta máscara facial renovadora, con complejo de zarzamoras rico en antioxidantes y vitamina E, exfolia y elimina impurezas para revelar una piel fresca y saludable en un único y simple paso. Simplemente aplica la máscara en tu rostro, déjala secar y despégala suavemente de una sola vez; no es necesario enjuagar. Aplica una capa uniforme para limpiar la piel y evita el área de los ojos y el cabello. Déjala entre 15 y 20 minutos. La máscara se hará más transparente a medida que se seque. Una vez que esté completamente seca, despégala suavemente desde los bordes del rostro. Advertencia: Evita el contacto con los ojos. Si se produce contacto, enjuaga profundamente. Si se produce irritación, suspende el uso y consulta con un médico. Alerta de quemaduras de sol: Este producto contiene ácido alfa hidróxido (AHA), lo que puede aumentar la sensibilidad de la piel al sol y la posibilidad de que se produzcan quemaduras de sol. Usa pantalla solar, vestimenta protectora y limita la exposición al sol mientras utilizas este producto y hasta una semana después. Rated 5 out of 5 by PLK1 from Smooth Skin This is my favorite mask! Skin looks and feels great! Rated 1 out of 5 by myrtlehazel from This tore skin off my face THIS TORE SKIN OFF MY FACE!!! I wish I could give this no stars. This is just a warning to anyone out there with sensitive skin. I was super excited to try this mask out, and thankfully I just bought a one use size and not the full bottle. I used it as instructed, and left it on for no longer than instructed, and the results were disastrous. It hurt a lot when I was peeling it off, but I assumed it was just because it was ripping the tiny hairs off of my face. However, once I had peeled the whole mask off, I noticed that it hurt so much because it had ripped many sections of skin off of my face. Now my face is covered in large scabs. So IF YOU HAVE SENSITIVE SKIN DO NOT USE THIS!!!!!! 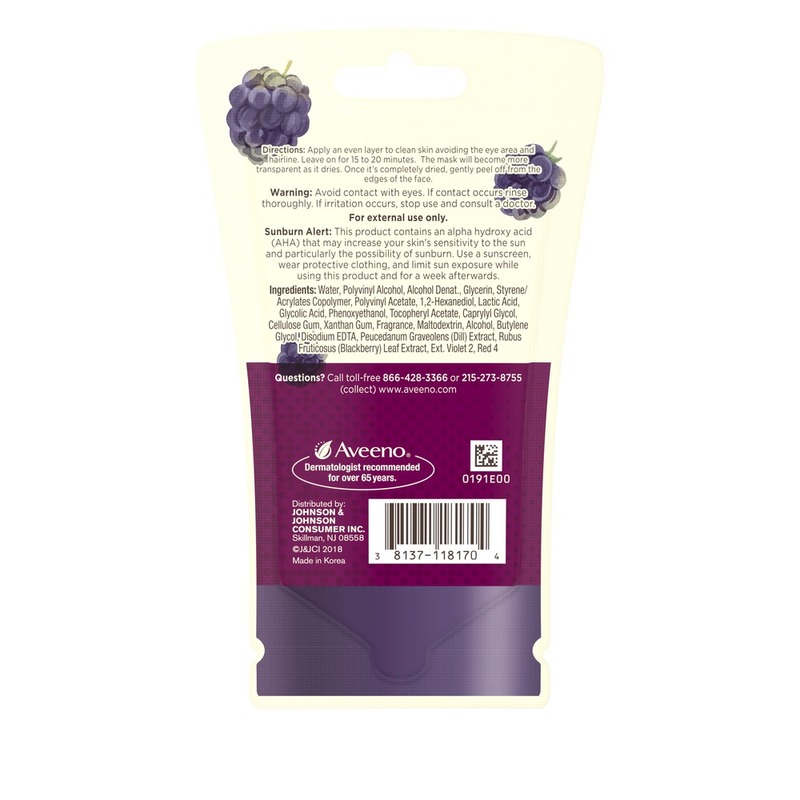 Rated 5 out of 5 by invigorating8 from Feeling of fresh Feels clean, fresh and just radiant after the mask comes off. Each and every time. Rated 5 out of 5 by Amanda073 from Soft and Glowing I love it! My skin feels so soft and smooth after using it. I feel like there’s also a little glow on my skin! Rated 4 out of 5 by Furfette10 from Such a fun, fresh, fantastic product! This mask is actually really fun to remove! It reminds me of peeling off glue in elementary school. I look forward to the 20 minute mark so I can relax while peeling away the mask. Also, I am super conscious about NOT using heavy-scented products on my face. This mask has such a light, beautiful scent that I love and feel 100% confident applying it to my skin. 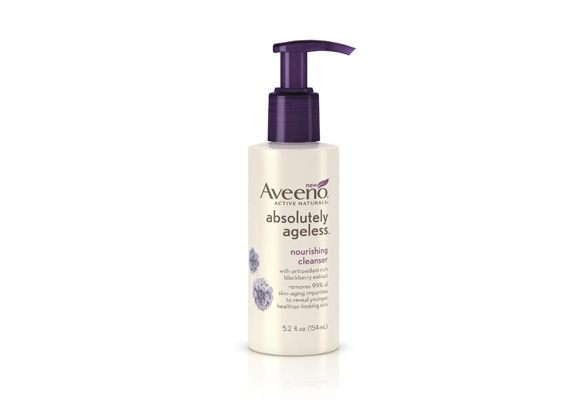 After use, my face feels fresh, tight, and best of all CLEAN! Rated 4 out of 5 by Mje937 from Gentle This mask was very gentle on my sensitive skin. I used this after washing my face in the evening and it left my skin feeling baby soft for days. Rated 5 out of 5 by Stlammiller3 from Ageless pre tox mask reveiw It went on smooth, smelled great, and left my skin feeling incredibly soft and tight.